We offer D2-D6-Low Sulfur diesel that is used in aircrafts and has a density of 34.7 MJ/L. Global Commodity Finders Group is a leading D6 Diesel Exporter that is based in Houston (Texas, USA). We have a huge client base worldwide and they demand our diesel because of its quality. We have associations with reputed names, who aid us in fulfilling ever-changing industry demands with ease. 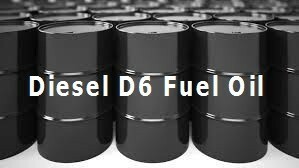 Clients can obtain premium quality D2 and D6 diesel from us at fair prices.